Shatford Centre/Okanagan School of the Arts is an entrepreneurial creativity centre located in the heart of the city of Penticton. It is currently in Phase Two, which is enhancements and upgrades to this 30,000 sq ft community facility on 2 acres of the Penticton Secondary Campus. Phase One was completed on March 31st, 2011 through the Community Adjustment Fund with the stimulus of the Government of Canada, and the support of School District 67, City of Penticton, Province of British Columbia, Area E – Regional District South Okanagan, Community Foundation of the South Okanagan, Enterprising Non-Profits and more. This phase allowed the Shatford Centre to open and bring the building up to code with a new front entrance, elevator, new washrooms, renovations of the recital hall and new fire escape. 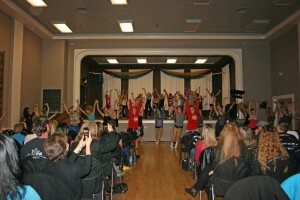 The Shatford Centre/Okanagan School of the Arts is on a community fundraising drive until March 31st, 2012, called the Colours of the Shatford Founding Contributor Program. This inclusive and original initiative is designed to provide opportunities for individuals, businesses and organizations to contribute through cash donations, in-kind donations of services or materials or volunteer hours. These funds are being used to enhance and upgrade the recital hall, studios and classrooms of this 91 year old heritage building. Open studios, open offices and community facilities, such as the 300 seat Shatford Centre Recital Hall, are being renovated and enhanced to accommodate creativity in its many forms. Like a smaller Rotary Centre for the Arts, there is an opportunity to serve the creative community. Unlike the Rotary Centre for the Arts, this building is being retrofitted and upgraded, with challenges however the great reward of saving this Georgian Brick School House built in 1921. The Okanagan School of the Arts (OSA) has been part of the South Okanagan since 1959 providing programming in a wide range of disciplines with its mission to assist the awakening and expression of the creative spirit. Shatford Centre is a holistic concept dedicated to creative well-being. 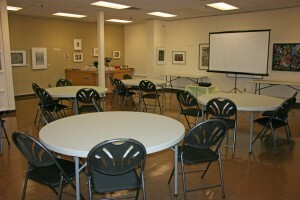 The Okanagan School of the Arts moved into the building in June of 2011 and began its programming and administration of the building. Since then, the Shatford Centre has become headquarters for organizations, such as the Peach Blossom Chorus, the Naramata Scottish Dancers, the Penticton Toastmasters, the South Okanagan Volunteer Centre and Pen High 100 to name a few. These organizations are part of the sense of community that is developing in the building. The Shatford Centre is a conference facility and event centre that easily adapts to a wide variety of creativity and community celebrations. The heritage recital hall is a treasure with original maple floors, a high tin ceiling and a stage. Some of the past highlights have been Ann Mortifee and Paul Horn’s, In Love With The Mystery concert, Broadway Bound International Dance Convention, Pentastic Jazz Festival, iTromboni, Celebrating OSA’s 50 Years of Creativity, ArtsBC Sustainability Seminar; Farmers & Artisan Markets & more. We would like to know who Shatford was and why his name is used for the Centre? Thank you!